Bland revivalism. Generally, this attempt to recapture the compositions and sounds of the darker side of new wave is just bland revivalism. 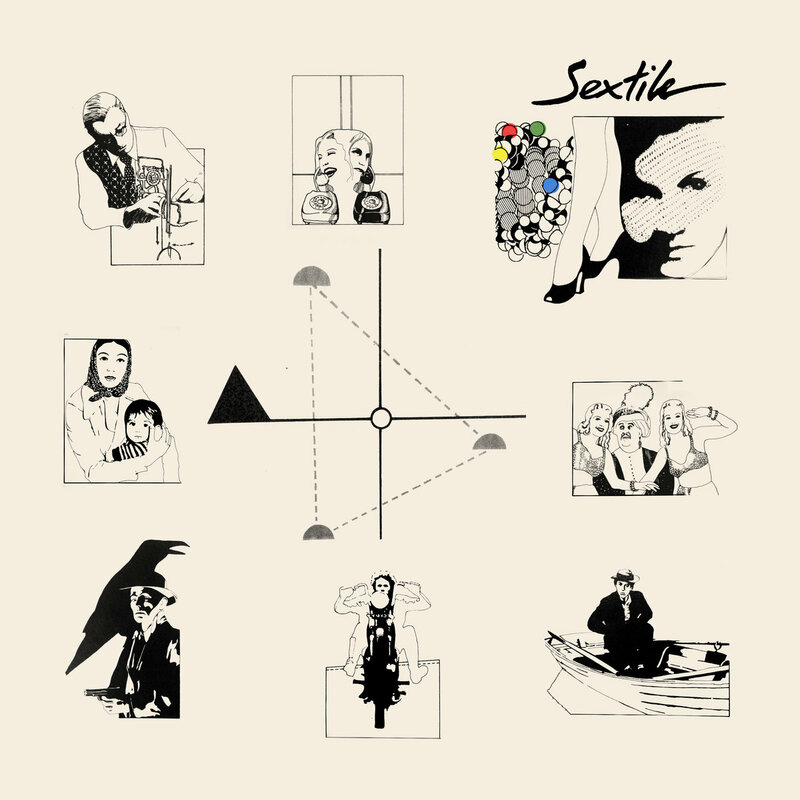 Mostly in the vein of the Polish coldwave scene, Sextile burden the danceable beats with lacking song-writing and distancing reverb. Whether attempting to recreate the Blade soundtrack or some four to the floor synthpunk, the compositions quickly fall into the background. ‘One of These’ happens upon some interesting bass lines, ‘Mental’ and ‘Crisis’ find themselves hooks, but otherwise the writing is incredibly unremarkable. In ‘Ripped’ and ‘AVC’ we find a fitting microcosm, two near identical repetitive beats supported by cybergoth-approved bass tones left largely alone without melodies. The production on the bass is very pointedly revivalist, sounding exactly like the tropes of goth rock. These loops are forced into the ears whilst the crooning singer and ornamental guitars are moved out of the room and as far from the listener as possible. This overuse of reverb to hide bad song-writing is so obvious it could be a parody, and the production altogether does them no favours, creating instead an inorganic, phoned-in performance. Your reviews on other records that you praise are actually terrible and completely generic. So this is kinda hilarious. I think sextile are blending influences definitely like all forms of art but are making something fresh and exciting with it.